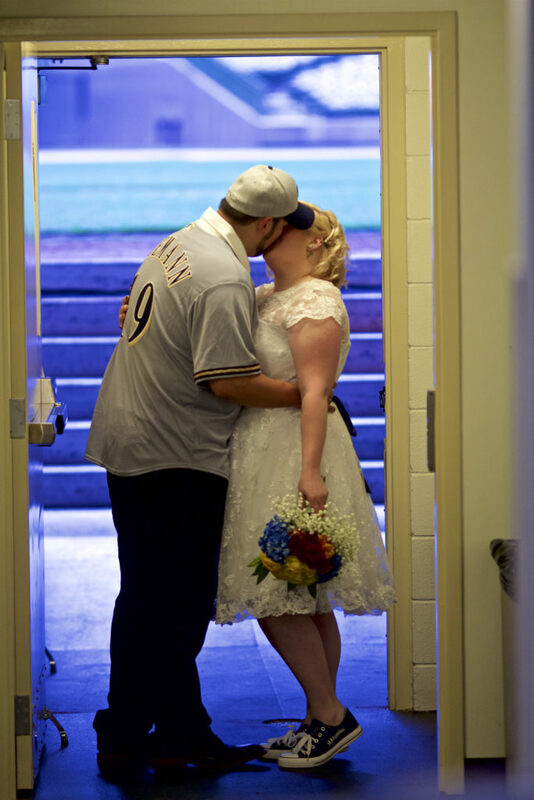 When you have a passion, one of the best ways to express yourself is to bring that passion to your wedding. 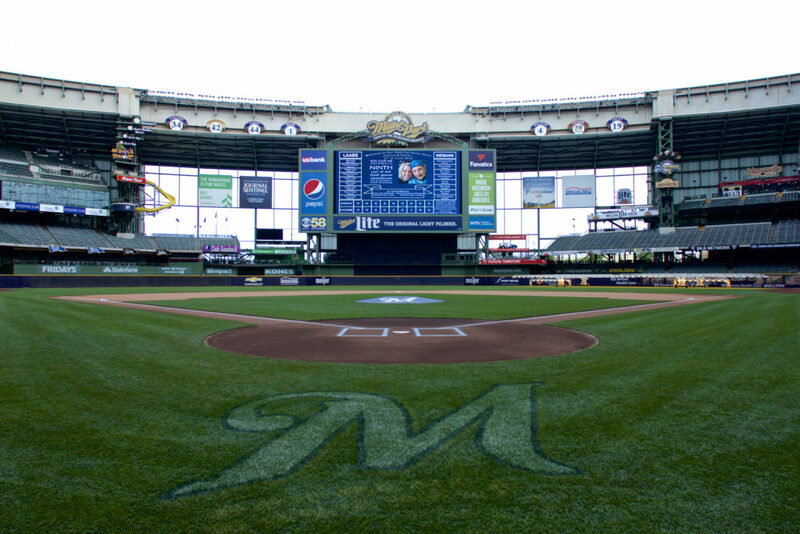 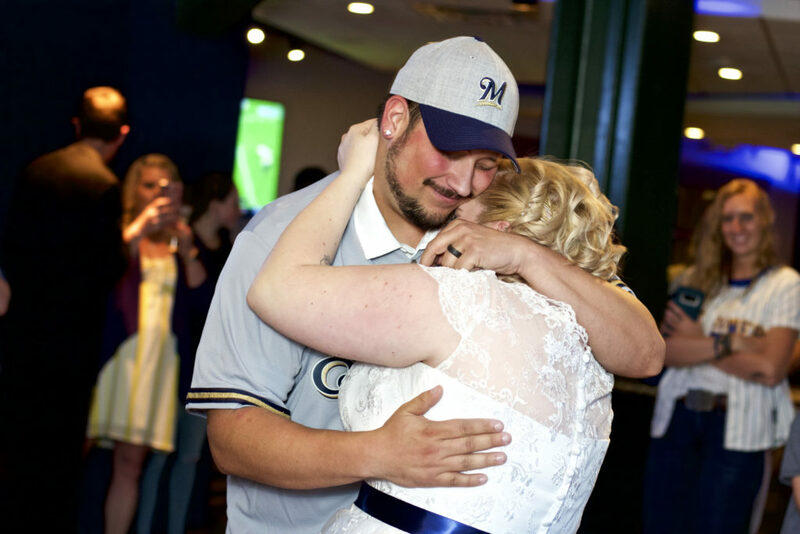 Jessica and Steven did just that when they planned their wedding to be right behind home plate at the Milwaukee Brewers’ Miller Park. 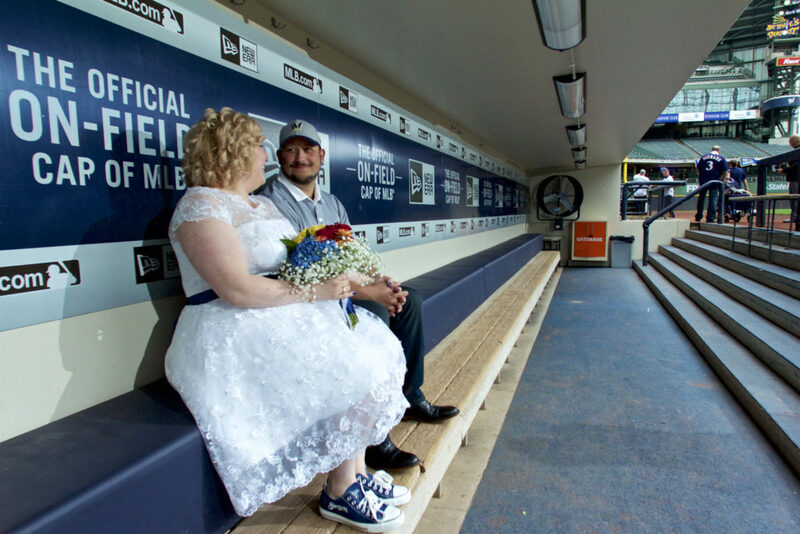 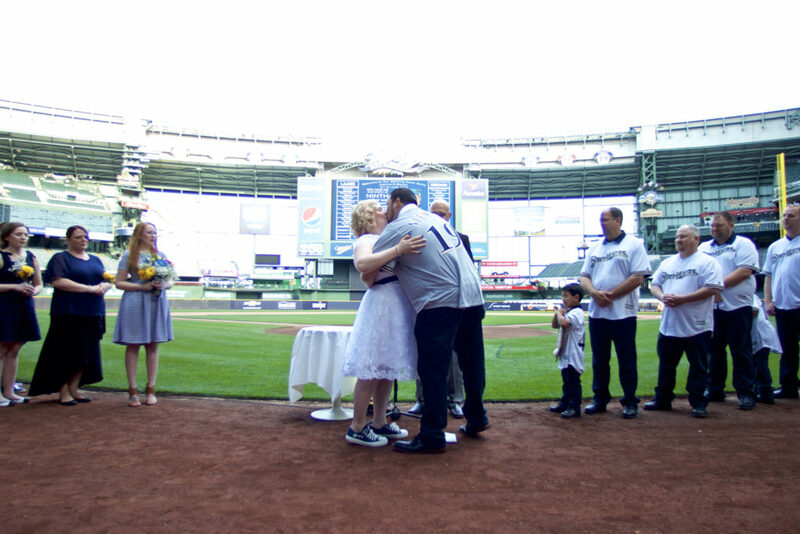 It was the perfect afternoon for baseball and a wedding as Jessica and Steven stepped up to the plate and exchange vows with their families cheering them on in the stands. 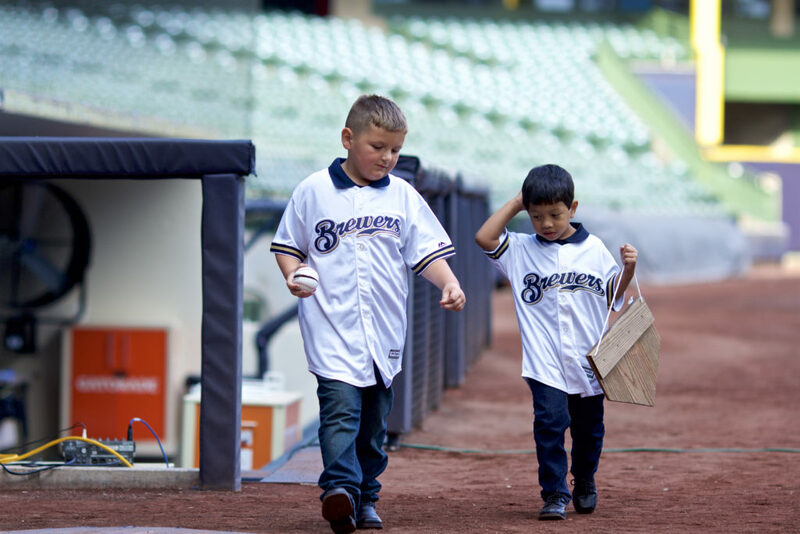 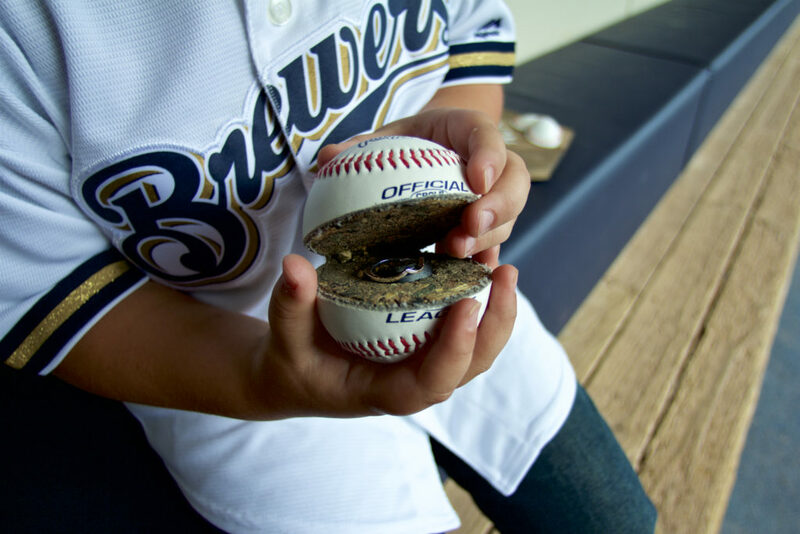 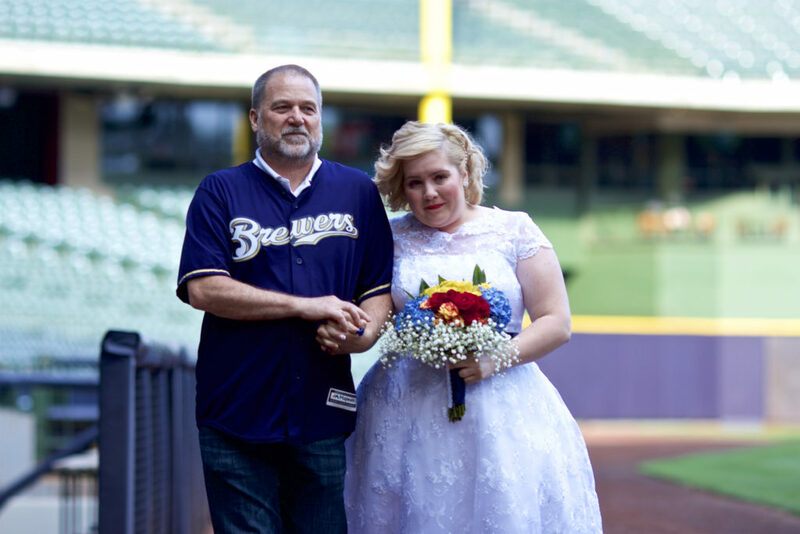 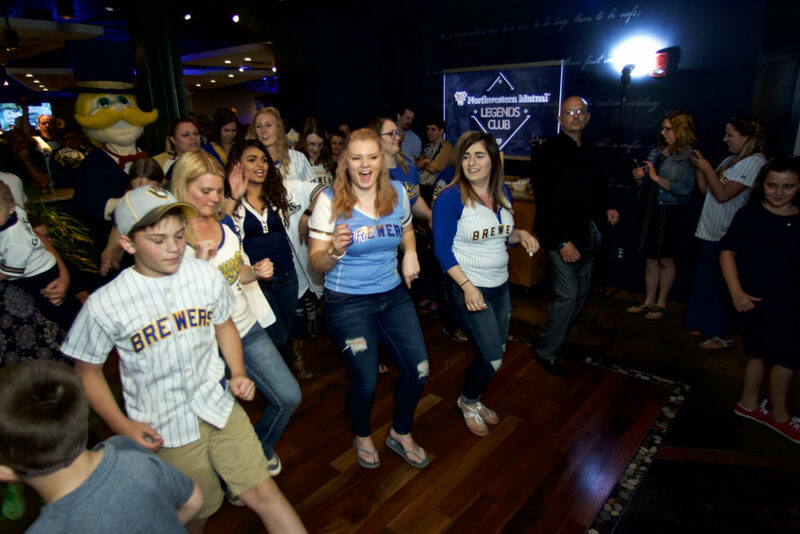 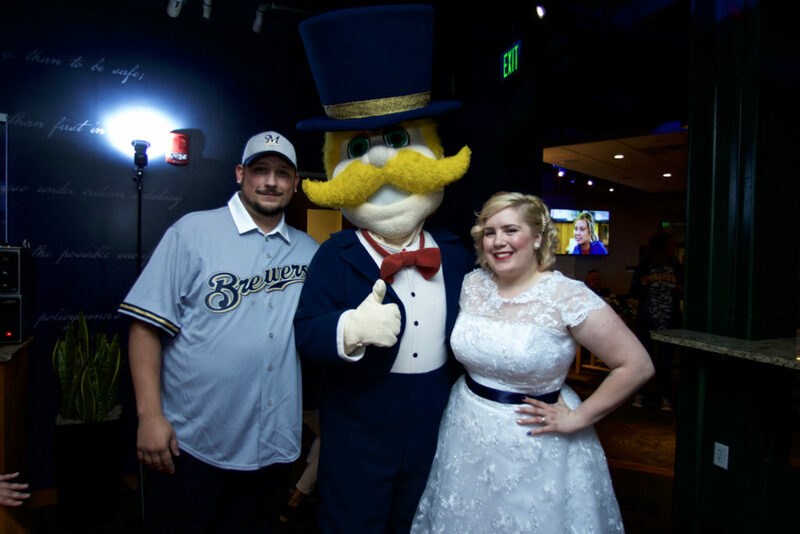 Some of the special features of their wedding was the custom score board during their ceremony, a special baseball in which their ring bearer carried the rings, visits to special places in Miller Park for photos, and a visit from Bernie Brewer at the reception. 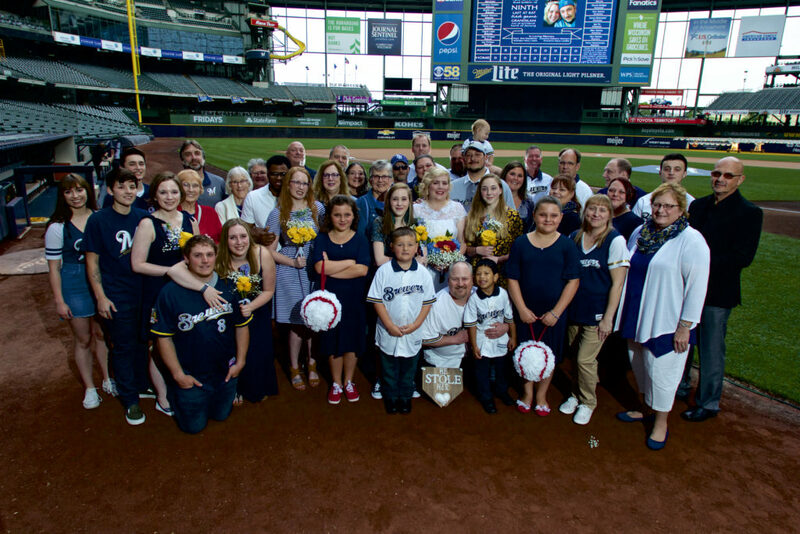 Following the wedding some group portraits were taken on the field and then the happy couple got to take a few special portraits before joining everyone upstairs in the Legends Club at Miller Park. 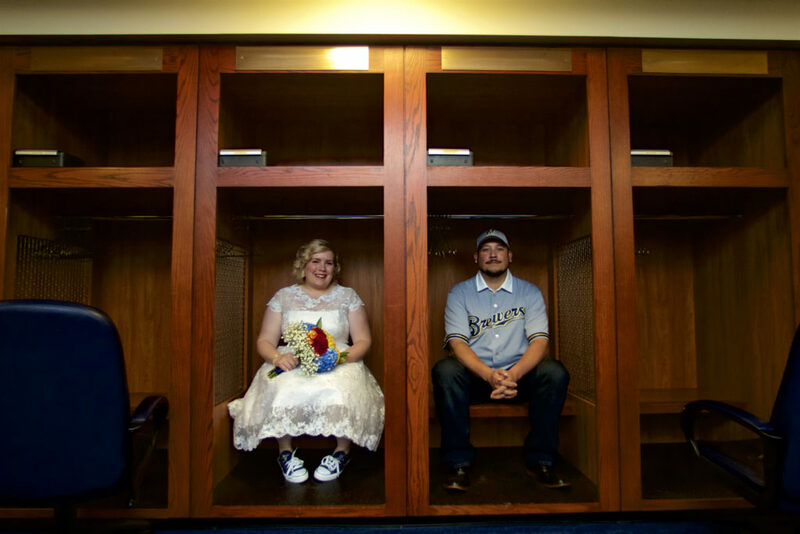 Congrats to Jessica and Steven and a big thanks to our photography and video team of Kris, Katie and Joel for documenting their day.